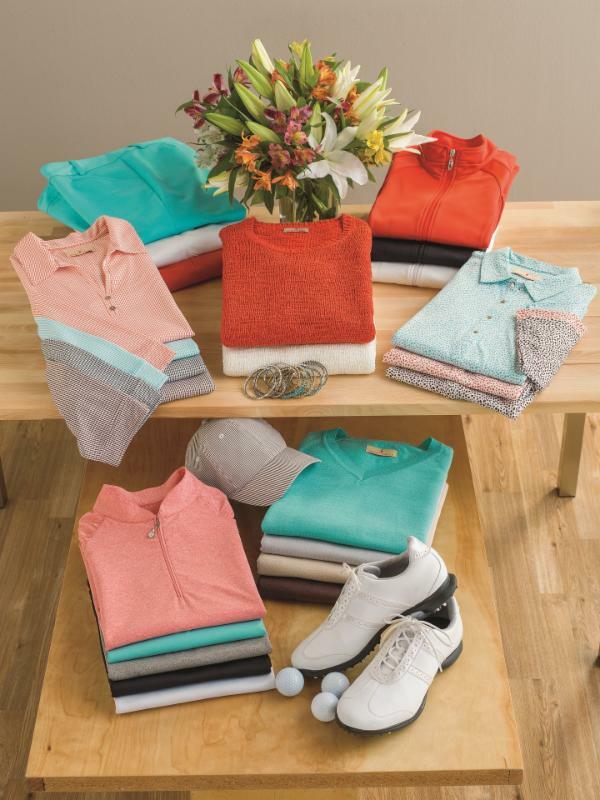 Lakewood, Colorado - Sport Haley/Bette & Court - a wholly owned subsidiary of publicly traded company Sport-Haley Holdings (OTCBB:SPOR) - announces that its Fall 2015 Clubhouse Classics and Nantucket apparel have hit the shelves as of May 1, 2015. Clubhouse Classics Collection was designed as a colorful yet streamlined assortment, a foundation from which to build and merchandise a pro shop. Sport Haley has added into the collection from each delivery to keep this grouping replenished. "This is the perfect array of product for the front table as you come into the shop", says Cathy Blair, President and Creative Director of Sport Haley. "Bright and fresh, the pieces are great fashion basics that work back to every woman's wardrobe. It's a merchandiser's paradise of wonderful product." Neutrals take on a new twist as the linens and creams dominate with simplicity and understatement. Textures with classic houndstooth patterns and subtle prints take the focal point, all blending together with a hint of poppy. "This group was designed for a chic approach to dressing, and the ease of looking elegant", said Cathy Blair. "The poppy pieces mixed with the neutrals creates contrast and that wow factor. It is one of our favorite groups as the pieces are timeless yet modern." For more than 25 years, Sport-Haley, Inc. has been a premier women's golf apparel company, passionate about offering the finest in quality, femininity and detailing. Sharp instincts, wisdom, precision and playfulness are the transcending influences that are embraced in the Sport Haley brand. Sport Haley and Bette & Court are located in Denver, Colo., and sold online and at private and public golf shops throughout the world. For more information about Sport Haley and Bette & Court, please visit SportHaley.com and bette-court.com.